You are here: Home / Blog / Hypnotherapy and Smartphones. Recently, I helped a young man suffering with low self esteem. Having conducted a screening or initial consultation previously, I knew he had very few underlying emotional issues, but long work hours and commitment to career had diminished his social life. He wasn’t suffering from depression, didn’t smoke, was a moderate social drinker and wasn’t on any medication what so ever. He needed a “confidence boost” and that is what I was prepared to provide. The hypnotherapy session went very smoothly and afterwards I was given permission to text him in 2 weeks to follow up his progress. Just as the client was about to leave he mentioned that he had given up smoking just 6 days previously and was completely confident that he was now a “non-smoker”. I congratulated him on making a decisive step he would never regret and then he not only mentioned that hypnotherapy had also been the “cure”, but that the hypnotherapy had been provided by a downloaded iPhone app. I was neither surprised by the admission nor particularly worried upon reflection. Having been in practice for 5 years, I’ve recognised that my catchment area encompasses a 20 mile radius. 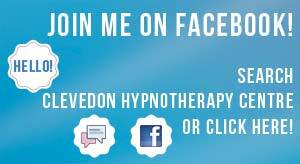 People have come from much further afield for hypnotherapy and particularly hypnoanalysis, but generally they live within a 40 minute drive of my office in Clevedon. The way, or ways, to help people far and wide even on a global level are clear and readily available. Last year while in Greece 3 recordings were made with Andy Dench and these are available from my website as Audio CDs. Several more recordings have been completed, but my client points to another phenomenon well under way: hypnotherapy for smartphones. I’m certain that my face to face client base will always be a 20 mile radius around Clevedon, but to reach a global market smartphone apps certainly seem to be the way forward.